The process of service intensity (SI) or level of care (LOC) determination regarding mental health services has a problematic history. There is a need for reliable and valid SI/LOC determination tools for youth in the child welfare system. In 2004 and 2005, the Tennessee Child Program Outcome Review Team (CPORT) reviewed 437 children and youth in the child welfare system (277 in state custody, 160 at risk of custody) of whom 61.6% were male, 64.8% Caucasian and 28.4% African American. Instruments used included the CASII, CAFAS, CBCL, YSR, TRF, and the CPORT Child and Family Indicators. All CASII subscales significantly correlated to the CAFAS Total Scores (Pearson coefficients 0.225 to 0.454). The CASII Total Score and the CASII SI determinations were highly correlated to CBCL, YSR, and TRF total and sub-scales. Significant correlations between the CASII SI determinations were found across all of the 13 CPORT Child and Family Indicators, while actual placement significantly correlated with only three of the 13 dimensions. The actual SI/LOC placements were significantly divergent from the placement recommendations derived using the CASII instrument (p < 0.000) with the majority of CASII SI/LOCs recommendations being for less restrictive placements. The CASII SI/LOC tool demonstrates high levels of reliability and validity in multiple care contexts, including child welfare, juvenile justice, and mental health settings. Expanded use of the CASII could potentially result in less restrictive, more appropriate, and less costly services becoming available to youth in these systems. AJP: designed and executed the study, assisted with the data analyses, and wrote the paper. WF collaborated in the writing and editing of the final manuscript. UM: analyzed the data and wrote part of the results. MM and PW collaborated on the design and execution of the study. A.P and W.F. are members of the CASII Subcommittee of the American Academy of Child and Adolescent Psychiatry. The authors declare that they have no conflict of interest. The study was approved by the Institutional Review Board of the Quillen College of Medicine, East Tennessee State University (QCOM- ETSU). Informed consent was obtained by the C-PORT Review staff as they conducted the review. The QCOM-ETSU IRB waived inform consent since data was shared by the CPORT Review with the investigators in a de-identified manner after collection. Bickman, L., Karver, M., & Schut, L. (1997). Clinician reliability and accuracy in judging appropriate level of care. Journal of Consulting Clinical Psychology, 65(3), 515–520. https://doi.org/10.1037/0022-006×.65.3.515. Children’s Mental Health Division, Minnesota Department of Human Services. (2008). Outcome measures pilot: SDQ and CASII. Report for Minnesota Children’s Mental Health Action Group (MMHAG). Minneapolis, MN: Minnesota Department of Human Services. Retrieved from: https://leg.mt.gov/content/Committees/Interim/2015-2016/Children-Family/Committee-Topics/HB-422/jan2016-mn-outcome-measures-pilot-summary.pdf. Sieracki, J., Fuller, A., Leon, S., Bai, G., & Bryan, F. (2015). The role of race, socioeconomic status, and system of care services in placement decision-making. Children and Youth Services Review, 50, 3–11. 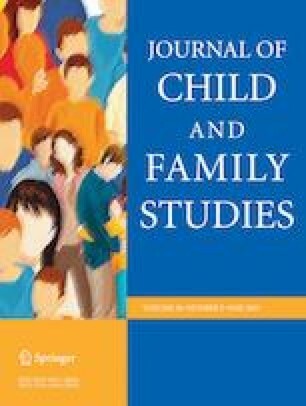 https://doi.org/10.1016/j.childyouth.2014.12.013. Stroul, B, Blau, G., & Friedman, R. (2010). Updating the system of care concept and philosophy. Washington, DC: Georgetown University Center for Child and Human Development, National Technical Assistance Center for Children’s Mental Health. Retrieved from: https://www.psy0-18.be/images/SOC_Brief2010.pdf.